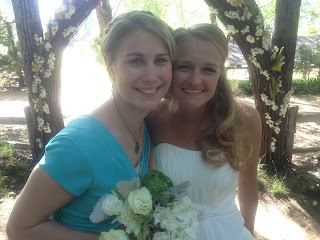 We went back to California for a long weekend, for the wedding of Erica's dear childhood friend Beth Cruze (now Griffo). Then Erica stayed for a few more days in CA with Grandma and Grandpa, plus a few days in Utah for a Fackrell family reunion and some cousins bonding time for Charles and Peter. 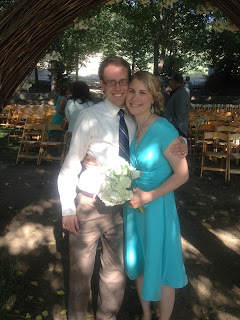 The day my wife was a bridesmaid--in my opinion at least, this beautiful babe in baby blue stole the show! 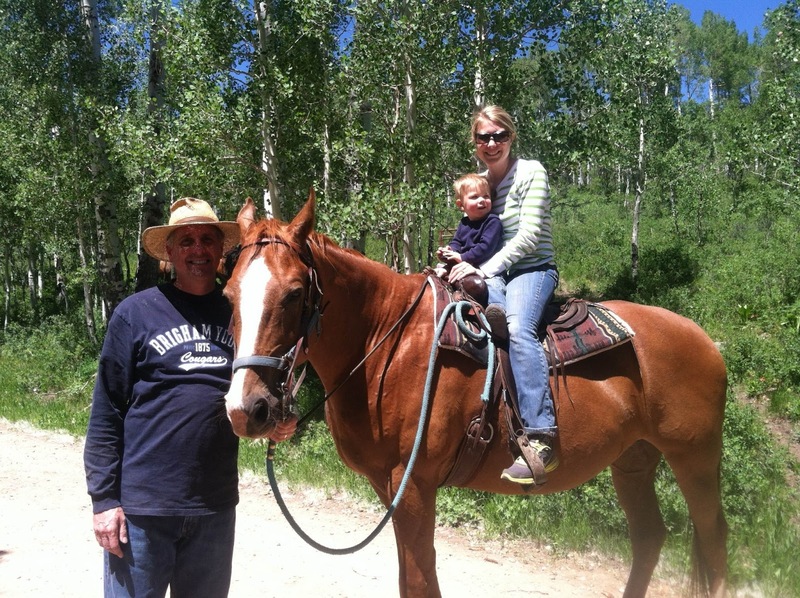 Between all of her time with the Nelsons and Fackrells, Erica also squeezed in a little time with my side of the family. Unfortunately, I had to bypass Utah in order to return to New York and earn a living. Baby Charles and Erica, on his first real horseback ride, with the indispensable assistance of Grandpa Charles. Meeting of the cousins at the Fackrell family reunion. Peter is the son of Erica's brother Jonathan and his wife Robin. The introductions started innocently enough, with a handshake. But then their interaction quickly devolved into what passes for a hug among one-and-a-half year-olds. Eventually Peter said, "Grandma Odalisa get me out of this headlock!" Charles and Peter did get along some of the time, primarily when Erica kept Charles occupied bestowing gifts to Peter of anything that was handy. When Erica tried to hold Peter, or tote him around in Charles' baby-carrier, or heaven-forbid, let Peter ride in Charles' stroller, Charles got quite jealous. He needs a little brother or sister to help him learn to share Mom and Dad!